If you suffer from any form of dental anxiety, the first thing you should know is that it’s really common. It’s estimated that as many as one in four people in the UK suffer from some form of dental anxiety. Don’t worry though – at APSmilecare we’re hard at work to dispel those fears, and one way we do this is through dental sedation. One of the most important points to note about dental sedation right off the bat is that it doesn’t necessarily mean putting people to sleep. Sedation takes a couple of different forms, including oral sedation, inhalation sedation and intravenous sedation. With all these treatments, you’ll be awake, but decidedly more drowsy and placid (or “wobbly” as some of our patients like to call it). Basically, you’ll be relaxed, which is what we’re aiming for when dealing with phobias. Simon, our sedation clinician, will chat to you beforehand about what kind of sedation will best work for you, according to your specific physical and emotional needs, and one person’s experience with sedation might be completely different to another’s. Trust us, we know what we’re doing – it’s far more than just putting you under and cracking on! Well, first there are the obvious reasons. It allows you to come see us with the minimum of pre-visit nerves, whatever you’re here to see us for. 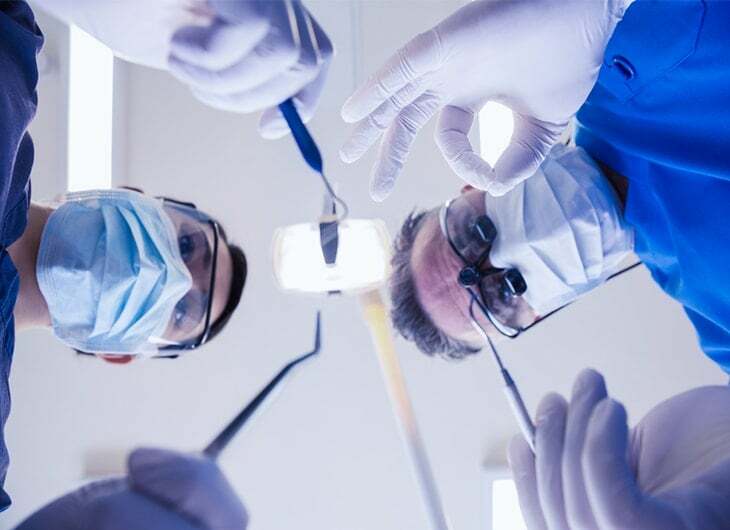 “Dental anxiety” is a very broad term, and can refer to anything from a fear of general pain or a specific procedure (like dental implants), to the intimacy of a check-up or a concentrated fear of needles. We hear a lot about the whirring of drills! We do everything we can to help with each and every fear, and sedation can be an effective answer for each one alike. It can also be exceptionally helpful for specific types of patient, such as those with extremely sensitive teeth, or people who have conditions that make controlling their body movements difficult; such as Parkinson’s or Tourette’s. People with very strong gag reflexes also fit into this category – there’s nothing wrong with it, and it definitely won’t be a barrier to successful treatment. We’ve dealt with it many times before! When it comes to sedation dentistry, it’s the quality of the expertise that matters, and there are few greater authorities in our office on sedation dentistry than Simon. He also provides the option of dental hypnosis, which can be an equally effective way of soothing those pre-dental nerves. As for the rest of us, we’ve designed our clinic to be as friendly and relaxing as possible, making things as easy as possible for you. We’ve had lots of clients who’ve attested to the laid-back nature of this environment, so we know at least something’s working! If you need treatment, don’t let dental anxiety be the thing that holds you back. If you need any help or advice, we’re just a phone call away! You can contact us or call us on 01254 297 000.